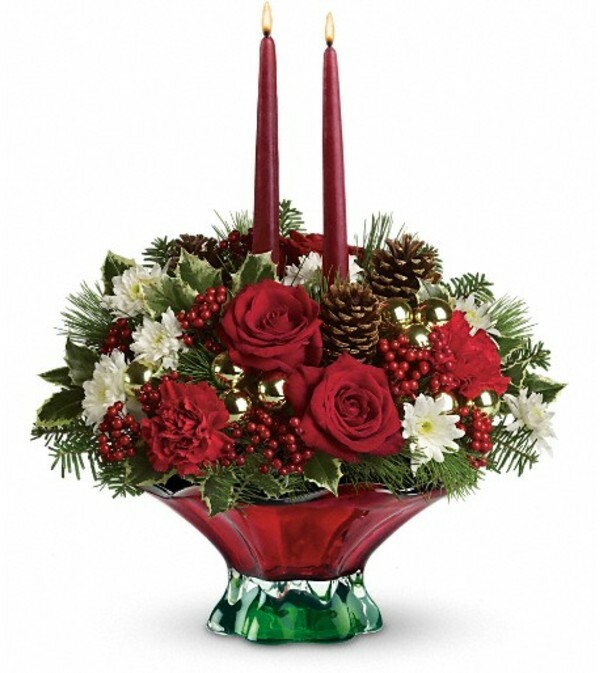 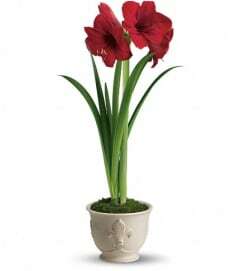 They'll have a swell Noël with this gorgeous Christmas flower centerpiece to feast their eyes on. Stunning holiday flowers in a delightful hand-blown glass bowl in classic Christmas colors - what could be merrier? 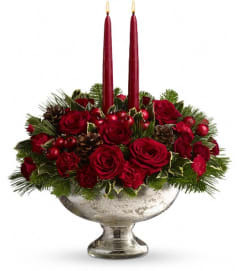 The elegant holiday centerpiece includes red roses, red carnations, white cushion spray chrysanthemums, variegated holly, silver fir and white pine accented with gold ornament balls, pinecones and red berry spray.